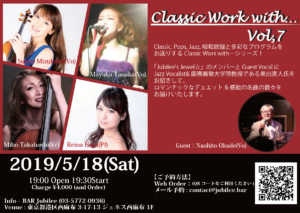 5/18(Sat) Classic Work with… Vol,7 ! 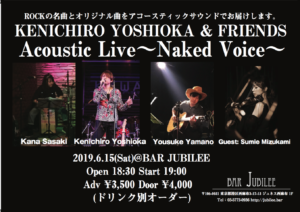 5/29(Wed) The Sons / The Acoustic ! 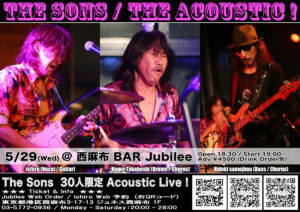 The Sons 30人限定 Acoustic Live ! 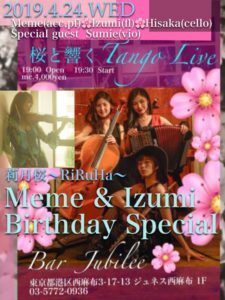 Copyright © BAR Jubilee. All Rights Reserved.